Following U.S. cut to UNRWA, Belgium pledges $23 million over three years to UN agency for “Palestinian refugees”. Belgium on Wednesday pledged to allocate $23 million to UNRWA, the UN agency for “Palestinian refugees”, following the U.S. decision to cut by half the funding it provides to the agency. 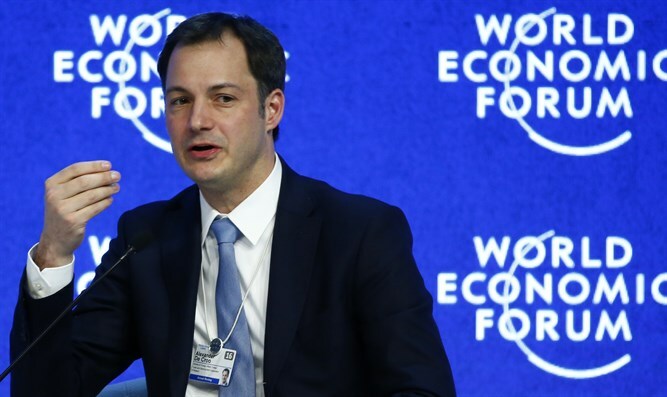 In a statement, Belgian Deputy Prime Minister Alexander De Croo said he had decided to allocate the $23 million over a period of three years. “Belgium is one of the few donors that provides this kind of multi-annual funding. Considering the financial difficulties which UNRWA currently faces, the Belgian annual contribution will be disbursed immediately,” said the statement. “I have a lot of respect for UNRWA’s work, which has to operate in the most difficult and dangerous circumstances. Living conditions in Gaza, Syria, the West bank and elsewhere in the region are particularly tough. For a lot of Palestinian refugees the UNRWA is the last life buoy. With the help of UNRWA half a million of Palestine children are able to go to school. This prevents them from falling prey to radicalization and extreme violence,” added De Croo. A State Department official said on Tuesday that the United States had sent $60 million to keep UNRWA in operation but withheld a further $65 million.